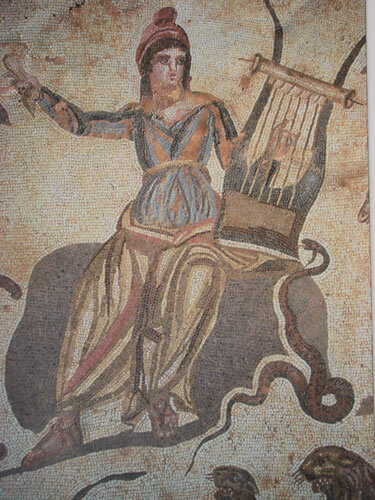 The Republic of Cyprus has a lot in common with the mosaics found in the 2nd century House of Dionysus, an archeological site near Pafos. Both are colorful with many intricate parts, and a pleasure to view. The mosaics have all the colors of Cyprus: the blue of the Mediterranean Sea, the greens of the Troodos Mountains, the browns of the sandy beaches, and warm colors of the setting sun, plus they represent Cypriot history that dates back to mythical times. 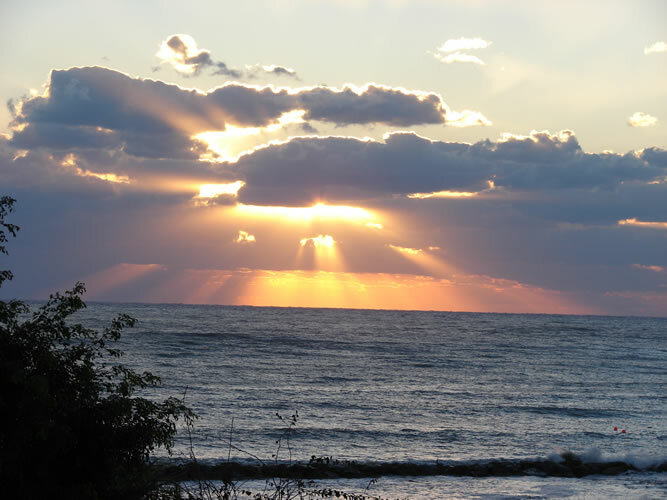 With its strategic location in the eastern Mediterranean, Cyprus has been the crossroads between three continents from the time of Aphrodite. Cyprus was the first country visited by apostle Paul on his mission to spread Christianity and crusaders stopped on their way to Jerusalem. Today tourists enjoy the travel mosaic that is Cyprus marveling at the sites of antiquity, exploring traditional country villages, and basking by the Mediterranean Sea. People have been living the good life in Cyprus for centuries. The large, palatial House of Dionysus shows the level of wealth during the Roman era. It is so named because one of the many mosaics depicts Dionysus, the god of wine. At the Neolithic settlement of Choirokoitia, dating back to 6800 BC, there are reconstructed round stone huts that give evidence to a relatively sophisticated lifestyle at an even earlier time. 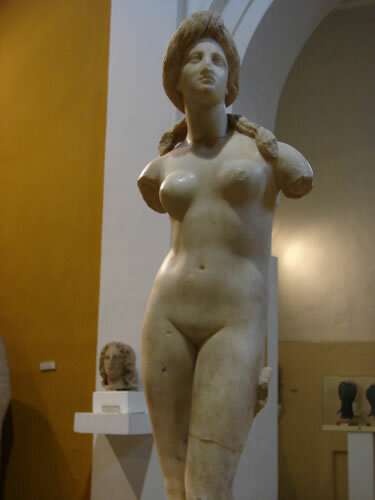 Just as intriguing are the sites associated with Aphrodite, Venus in Roman mythology. At a breathtakingly beautiful spot on the Mediterranean coast between Lemesos and Pafos is where legend has it that Aphrodite, the goddess of love, emerged from the sea. West of Polis is the grotto Aphrodite used for secret trysts with her many lovers. 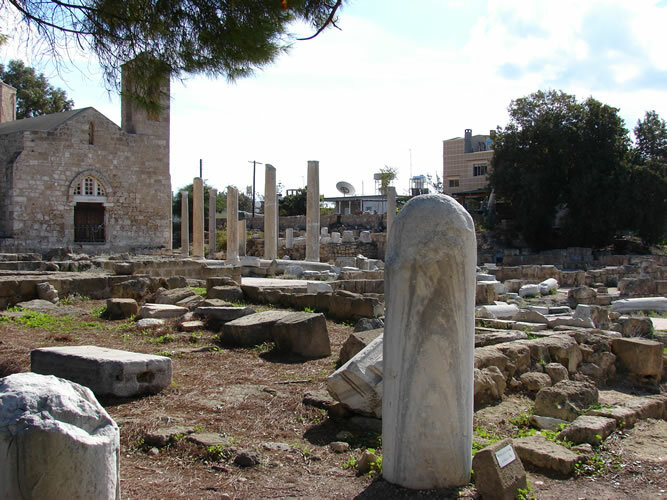 Cyprus is an open-air museum that will intrigue both the history buff and the causal tourist. The magnificent amphitheater at Kourion, the Tomb of Kings, St. Paul’s Pillar, medieval castles, and frescoed Byzantine churches are just part of the mosaic of the past. Currently Cyprus has three UNESCO World Heritage sites with other sites on the waitlist, plus new archeological discoveries being unearthed on a regular basis. Exploring the antiquities are a perfect diversion for sun worshipers but the beaches are the main draw. With four hundred miles of coastline, there is a beach for everyone. Forty-nine of the country’s beaches have been awarded the exclusive Blue Flag, an eco-label given to beaches that maintain high environmental standards. 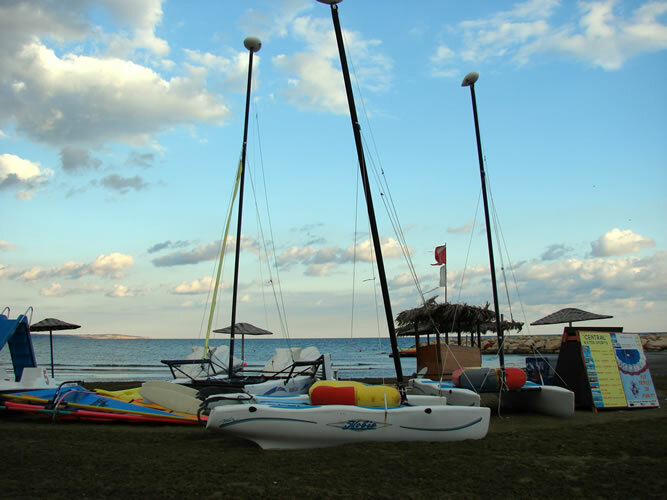 Visitors can chose from campsites on the beach to tourist resorts to temples of luxury that would please Aphrodite. Resorts are truly full-service offering a plethora of water sports, golf, hiking, biking, diving, horse riding, tennis courts, spas, and even skiing. At certain times of the year it is possible to ski in the morning, golf in the afternoon, and spend the night at the disco. All resorts are close to one of the coastal cities, which offer shopping, museums, dining, and theme parks. Keeping in mind that Aphrodite is the goddess of love and Cyprus is where Richard the Lionheart married Berengaria in the 12th century, Cyprus ranks high on the list of the world’s most popular destinations for weddings and honeymoons. Luxury resorts like Aphrodite Hills, Le Meridien, and Anassa have onsite chapels plus there are a plethora of churches with exquisite Byzantine artwork that make a perfect setting for a wedding. Visitors looking for respite from the beach or city can relish the gentle pace of life in the countryside. Only an hour away from any part of the island, the Troodos Mountains, home to Mount Olympus and at 6400 feet the highest point on the island, are home to painted Byzantine churches listed as UNESCO’s World Heritage sites. Plus there are traditional villages with cobbled streets to wander, wine tasting at vineyards and serenity that is seldom found in today’s manic world. 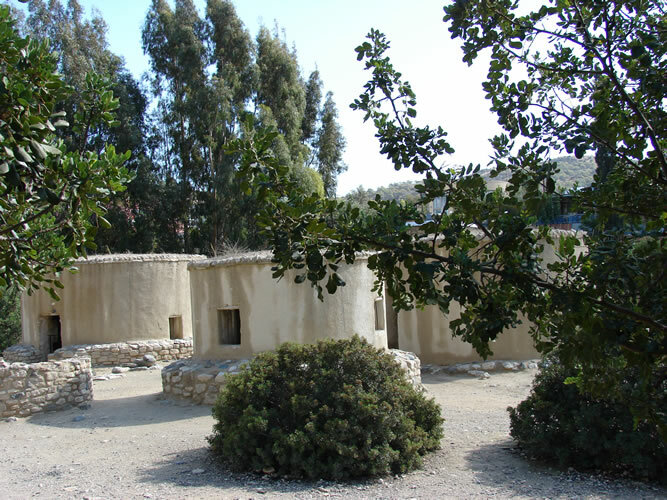 Cyprus has an agrotourism program that encourages restoration of traditional houses making them fully equipped to receive guests. 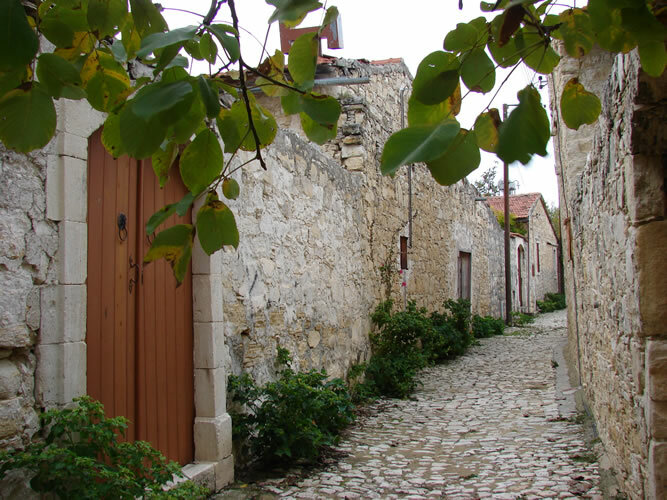 It is a great way to get in harmony with Cypriot life style, stop to smell the jasmine, enjoy the nature trails, visit historical monasteries, and chat with the locals at the local taverna. 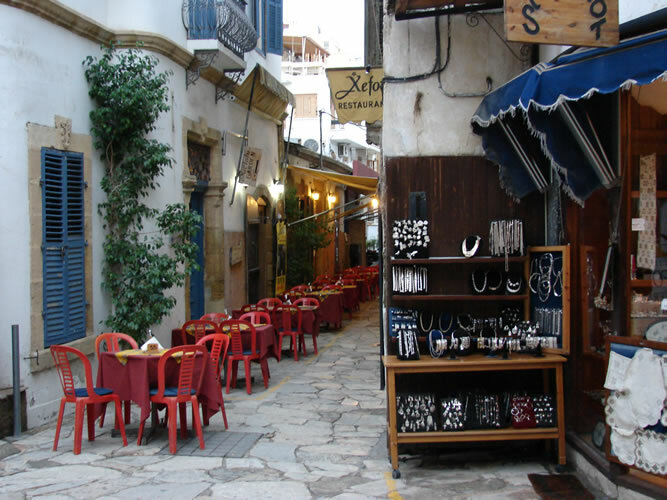 Dating back 1000 years, the capital Lefkosia (Nicosia) is both old and new. It is the commercial and business heart of the country. Located in the middle of the island, the city was once enclosed by a star-shaped Venetian fortress wall and moat. The moat is often the site of concerts and the old city is a restored pedestrian area with shops and restaurants. The mosaic of Lefkosia is comprised of palm tree-lined streets, modern shops, mosques, beautiful frescos in St. John’s Cathedral, a museum with Byzantine icons, and the must-see Cyprus Museum. The museum has the best collection of archeological artifacts including terra cotta figures that predate those in China and the sublimely beautiful 2000-year-old statue of Aphrodite. At the Handicraft Center the artistic heritage is preserved and promoted by bringing craftsmen together in one location. Visitors can watch artisans weaving, producing leather articles, fashioning pottery, and creating other traditional items, plus purchase authentic items from the shop. 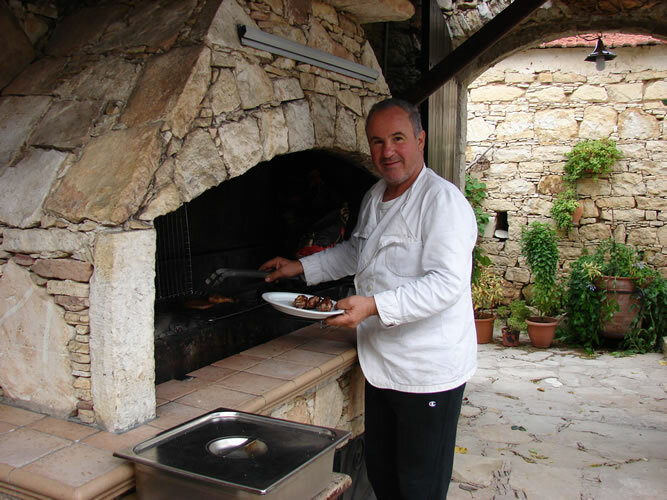 With its crossroads position in the Mediterranean, Cypriots have added an exotic flavor to their cuisine creating a unique dining experience. The best way to sample the mosaic of Cypriot food is with a meze, which means “little delicacies.” Meze is a meal of as many as 30 small plates of food, from savory dips and vegetables to a wide range of fish and meat dishes. It is enjoyed “siga, siga” (slowly, slowly) taking time to savor such delectable dishes as octopus in red wine, traditional grilled cheese, smoked sausages, and other dishes served with salad, fresh baked bread, and wine. Pharaohs consumed it and King Solomon waxed lyrical about Cypriot wines. Commandaria is considered the oldest named wine dating to the 12th century. Wine enthusiasts will love Cyprus where wine making goes back to 2000 BC. There are winery tours and annual festivals plus a wine museum near Lemesos (Limassol). Out of all the islands of the Mediterranean, it is no surprise that Aphrodite chose to live on Cyprus. Today European vacationers often return to Cyprus to retire. For such a small island country there is something in the mosaic of Cyprus to tickle the fancy of every visitor. Connections to Greece, Egypt, and the Middle East are quick and convenient. One of the many tour options offered travel agents is a day trip to Alexandria, Egypt. 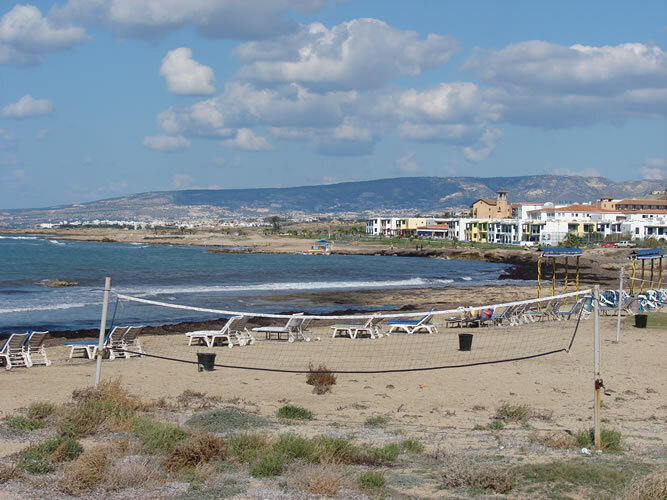 Cyprus is a tourist-friendly, four-season destination, where English is widely spoken, and excellent roads make it easy to get around keeping in mind that driving is on the left. For more information check www.visitcyprus.org.cy.